The growing use of drones by consumers across the U.S. is leading to the adoption of new rules and restrictions by the federal government, state governments and community associations. Questions regarding safety, property damage and privacy abound with drones, and associations are responding by establishing clear parameters for their use by unit owners. Last year, the Federal Aviation Administration enacted new regulations for the use of unmanned aircraft systems, which are more commonly referred to as drones. For recreational users, the FAA now requires that drones must be properly registered and labeled with the registration number. They must only be flown below 400 feet and always within sight of the operator, and they are banned from use near other aircraft and airports as well as over groups of people, stadiums, sporting events, or emergency response efforts. Privacy concerns over the use of drones with cameras were addressed by a new Florida law that was enacted last year. The law stipulates that drones with cameras may not be used to record images of privately owned properties or of the owners, tenants or occupants of properties in violation of their reasonable expectations of privacy without their written consent. 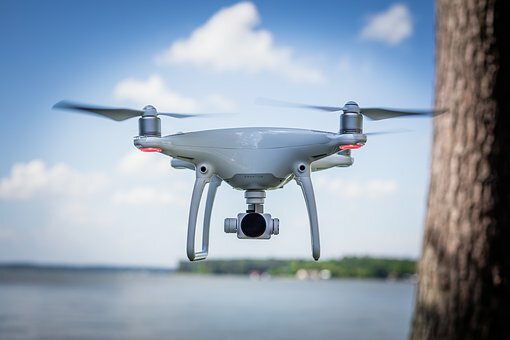 Reasonable expectations of privacy are presumed if individuals are not observable by others located at ground level in a place where they have a legal right to be, regardless of whether they are observable from the air with the use of a drone. For associations, the implementation of new rules and restrictions concerning drones should begin with a discussion that is open to all of the unit owners at a board meeting. This enables all of the members of an association to share their thoughts and concerns, which are then taken into account by the board in the development of new rules. Once the rules are established and enacted, associations should communicate them to the membership via email, mail, posted notices, newsletters, and any other means that they typically use. Sales of drones to consumers in the U.S. are expected to grow from 2.5 million drones in 2016 to 7 million in 2020, according to a report from the FAA. With the continued growth in their popularity and usage, now is the time for associations to work together with their members in order to develop and implement the rules and restrictions that make the most sense for their specific community.